Many years’ experience within the financial services industry. Nicola joined 3R in January 2017 after working for a large multinational company for over 17 years. 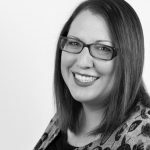 As well as looking after mortgage and protection clients, Nicola is associate of the Institute of Professional Will Writers and can provide guidance and support with Wills and Lasting Power of Attorney. Outside of work, Nicola likes nothing more than being in the fresh air, doing a spot of gardening or camping with her family and, of course, the obligatory shopping and socialising with friends!